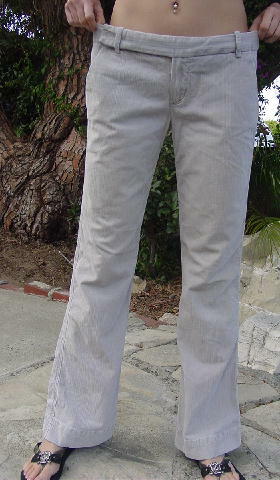 These 98% cotton and 2% elasthane corduroy pants are by Joe's Jeans. They are in a light gray and were made in the USA. 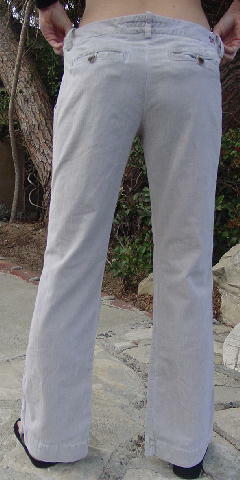 They have a 1 1/2" wide waistband with a large hidden snap and interior button and belt loops. There is a 3 3/4" long zipper fly and front angled pockets. 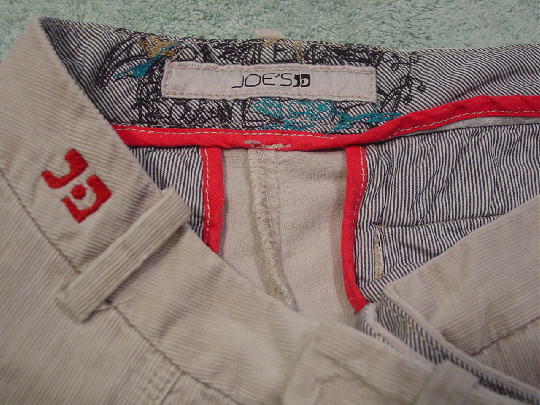 The back waistband has an embroidered red Joe's Jeans logo. There are also two back pockets with a button and loop closure on each. They're from a stylist's inventory, and was worn in a movie. bottom leg openings 9 1/4"